You've been coding all week, maybe all year. Now is your chance to shine and show everyone your work on the big screen in the Canyon Theater! Robots, apps, webpages, Scratch animation, Arduino, Bitsbox, all welcome! Mentors will be available to assist with troubleshooting. Families and friends are invited to register as cheering audience and tech help mentors. Registration recommended, but not required. All ages, audience members and presenters welcome! We'll being our final event of Boulder CSED Week with live coding improv with Bitsbox! Help create hilarity on the big screen! 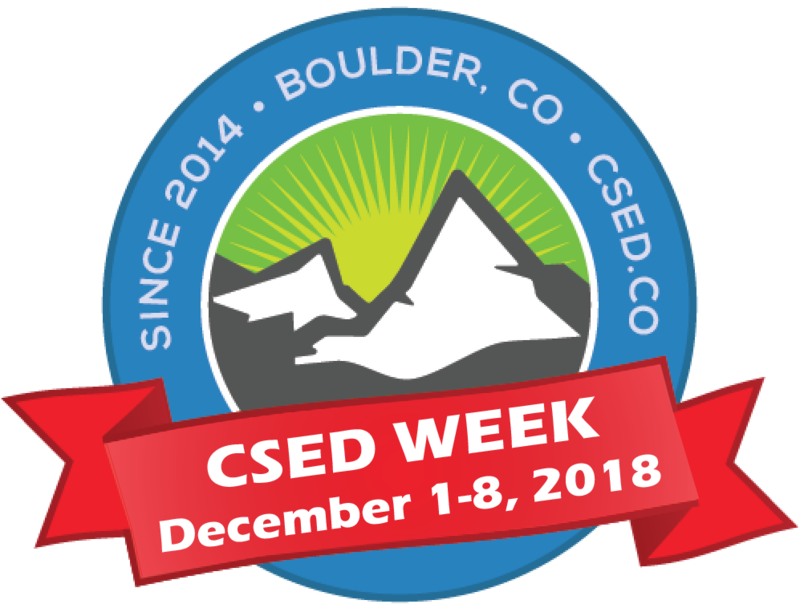 We're grateful for the sponsorship generosity of ROBAUTO, Texas Instruments, Makey Makey, Bitsbox, Scratch, Workbench, Parallax, ArcBotics, Google, BrieBug, SparkFun, Galvanize, BrieBug, FitBot, Kids2Glow and the Boulder Library Foundation for making CSED Week possible!